DEEP IMPACT These fossil fish, discovered in North Dakota, were swiftly buried in mud due to violent shaking of their watery home. The fossil site, researchers say, gives a never-before-seen view of the day a giant asteroid struck Earth 66 million years ago. About 66 million years ago, a giant asteroid smashed into Earth off the coast of what’s now Mexico. Less than an hour later, the impact sent water in a riverbed 3,000 kilometers away sloshing violently back and forth, swiftly burying freshwater fish, plants and other organisms in the heavy sediment, a new study finds. Evidence of those surges, as well as tiny traces of the impact itself, appear to be preserved in a meter-thick layer of rock in southwestern North Dakota. Set off by the impact, an immense earthquake — equivalent to a magnitude 10 or even 11.5 — sent seismic waves pulsing through Earth’s crust, triggering that sloshing, researchers argue online April 1 in the Proceedings of the National Academy of Sciences. If true, the scenario would add a new kill mechanism to the mass extinction event that marks the boundary between the Cretaceous and Paleogene Periods, often called the KPg. Some 75 percent of land-based species, including all nonbird dinosaurs, died in the event (SN: 2/4/17, p. 16). The site, found in the Hell Creek Formation and dubbed Tanis, represents a unique snapshot of what happened on land in the immediate aftermath of the impact, says paleontologist Robert DePalma of the University of Kansas in Lawrence. “It’s a critical moment in time,” DePalma says. “We have a high-resolution image of the first couple of hours after the impact. That level of detail is not really known elsewhere.” Despite the potential uniqueness of the find, the publication of the PNAS paper was overshadowed by a profile of DePalma that had been published online on March 29 in the New Yorker, just a few days before the study’s planned release. 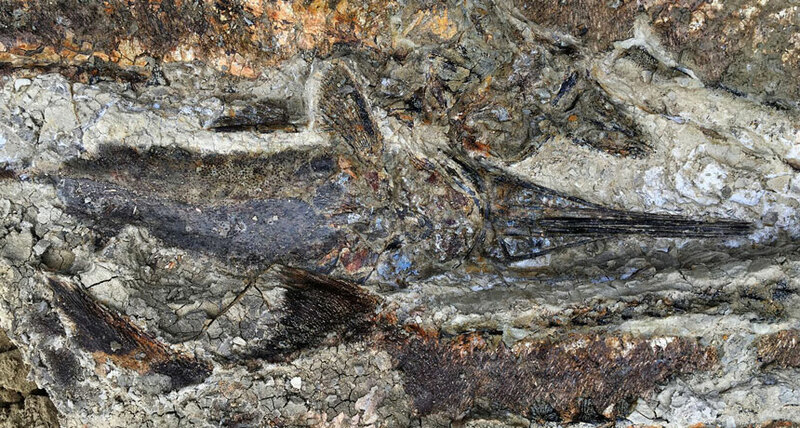 The profile included tantalizing hints of fossilized dinosaurs and pterosaurs and even rarely preserved feathers that the researchers say they have found at the Tanis site. If so, the site could hold the answer to a much larger question: Was it really the asteroid strike that killed all nonbird dinosaurs, or were they already dying out? But the PNAS paper doesn’t discuss those fossils, and paleontologists have expressed skepticism and frustration over how to evaluate the claims.